Real estate group Kawe bought from Estconde two office buildings with a parking house located at Pärnu mnt 158, Tallinn. The total area of the buildings is 24,360 m2 and the number of lessees for the office and commercial spaces is 22. The registered immovable at Pärnu mnt 158 holds two contemporary office buildings with surface areas of 6,952 m2 and 6,910 m2, and a large parking house for 470 cars. The ground floors of the office buildings are for commercial premises and the top floors for offices. According to Jaanus Kosemaa, partner of Kawe, the buildings are at a good location – inside the main logistics triangle of the city and in the near vicinity of the relevant Järvevana junction. Kosemaa says that the floors of the buildings have a good shape and optimal size, which is significant for their further lease. The owner of the buildings has always been Estconde, who has maintained their good condition and made constant investments into the buildings. In spring, Kawe completed the construction of the first office building with energy label A at Baltika Quarter in Tallinn. Several solutions innovative on the market were used in the development process and this resulted in an energy efficient commercial building that guarantees low maintenance costs to lessees (€1.6 per m2 as annual average). 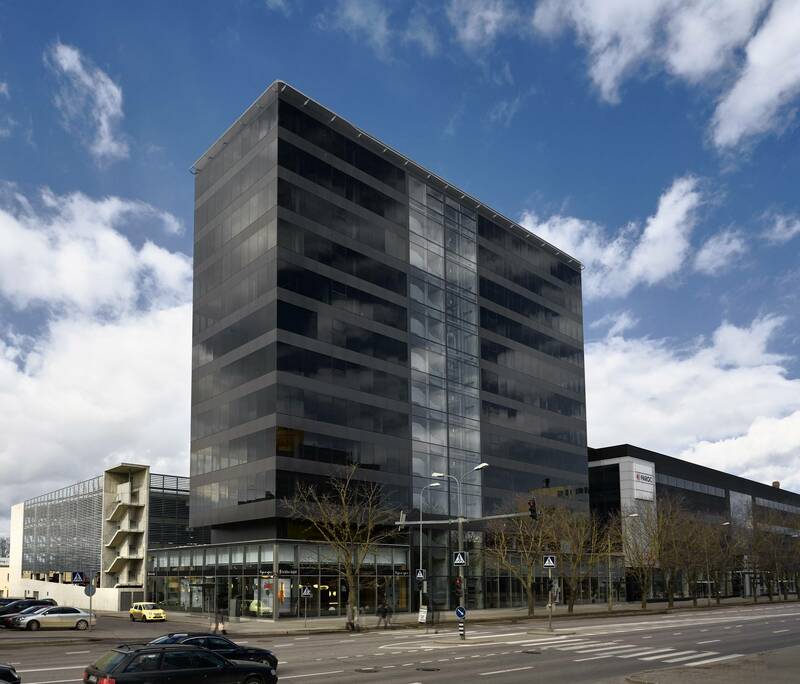 Next year, Kawe is planning to start designing a new office building with a total area of nearly 20,000 m2. According to Kosemaa, there is room on the market for energy efficient buildings with effective floorplan and good location. Kawe has been on the market for 15 years and its principal activity includes long-term investments in real estate, primarily in office buildings and industrial property. Now Kawe owns 9 commercial buildings and 8 industrial properties. By volume, Kawe is one of the largest business real estate investors in Estonia – the size of the lease portfolio is 176,000 m2 in the total value of 144 million euros. In addition, the portfolio of office buildings under development is around 47,000 m2.